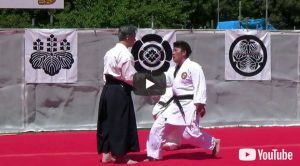 Daito-ryu Aiki Jujutsu is one of the martial arts systematized around the core concept of “aiki”, and it is said to be the root of Aikido, one of the most popular martial arts in the world. There are various views on when and where Daito-ryu originated, but this martial arts was made popular by Sokaku Takeda (1860-1943), the greatest and unparalleled master. Before he made it popular, this martial art had been kept secret within the Aizu-han as “Oshikiuchi”. Oshikiuchi were self-defense techniques used by people within the palace, and had been taught to a limited number of people in the higher circle. Many students learned Sokaku’s techniques, mainly the upper-class people, in the government (e.g. police officers) and well-known masters of other martial arts, according to the record of “Eimei-roku”. 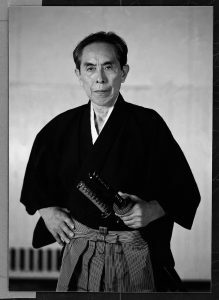 Later, some of the students were appointed Kyoju-Dairi (qualified teachers) by Sokaku and inherited the essence of Daito-ryu Aiki Jujutsu. Daito-ryu Aiki Jujutsu has been inherited to the present, overcoming the difficulties of reproducing the extremely high-level and well-devised techniques. Roppokai is one of the schools of Daito-ryu Aiki Jujutsu and sprang directly from Kodo Horikawa, one of the masters appointed as Kyoju-Dairi by Sokaku Takeda in 1916.